With a baby just eight months old who has never seen a summer, and living in the United Kingdom where summer tends to only last a few days each year, ‘outdoor fun’ is often very limited for those who don’t like being cold and or wet. This is something Martin, my husband, and I really struggle with as we both grew up in South Africa where life included hikes, camping, beaches and other outdoor pursuits nine months of the year. Leaving the house when the weather is by our definition miserable is a constant act of will. Not bad for the last five months of an eight month old’s life, I think. And I look forward to better weather, and to showing her so much more of our beautiful world. summer funâ€¦ â€” Mandy at Living Peacefully with Children is looking forward to spending the summer outside with her children the way she used to spend summers with her mother. Digging, Tree Climbing and Puddle Jumping â€” Laura at Laura’s Blog bemoans the loss of her girls’ climbing tree but knows they’ll find something else just as naturally tempting. Think Outside the Easel for Summertime Fun â€” Acacia at Be Present Mama finds several ways to bring art fun to the outdoors. Outdoor Learning in our Urban Environment â€” Andrea at Ella-Bean & Co. has found ways to get grass between her daughter’s toes, even in the city. I lived in England for a year and a half, so I know what youâ€™re saying about being cold and wet! I love the way youâ€™ve made the best of it all, though. What great memories you have through photos. There is so much beauty in England along with the dreary weather. Itâ€™s nice your daughter is getting to see both sides! .-= Deb ChitwoodÂ´s last blog ..How to Teach Concepts and Vocabulary to Your Preschooler Using the Three-Period Lesson =-. What a gift you have given your daughter! I am always torn. I so want to have my children see so much, but also, I really like being home. Also we live far from much to do besides nice things at home 🙂 I think it’s great you have found a way to pass something on to her that you enjoy so much, even in a place that isn’t as pleasant (weather wise 🙂 ) to do so. .-= Julie from Simple LifeÂ´s last blog ..Following Paul =-. Sounds like she’s gotten outside plenty! She is adorable and some of those pictures are amazing? Like the one with the daisy – did you take that? Wonderful. 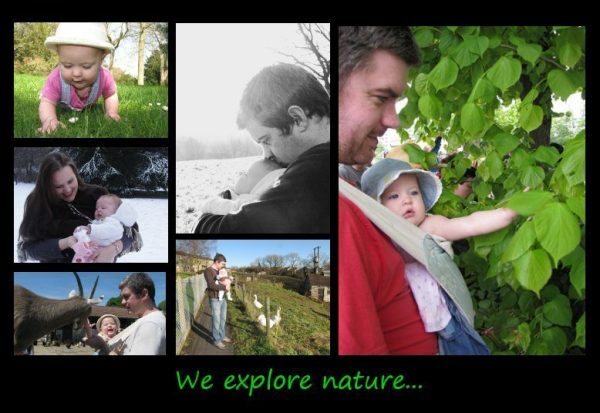 .-= Paige @ Baby Dust DiariesÂ´s last blog ..Moon Gazing with your Toddler: Science, Nature, and a touch of Folklore =-. Hi Paige. Thanks for the compliment! Yes, I took pretty much all the pics above, except maybe for some that I was in! That is marvelous! You definitely have shown her places. I love all your pictures. The one of her on the train is gorgeous! It’s so fun to be the one who can show your baby around this great big world, isn’t it? Everything’s new to them! 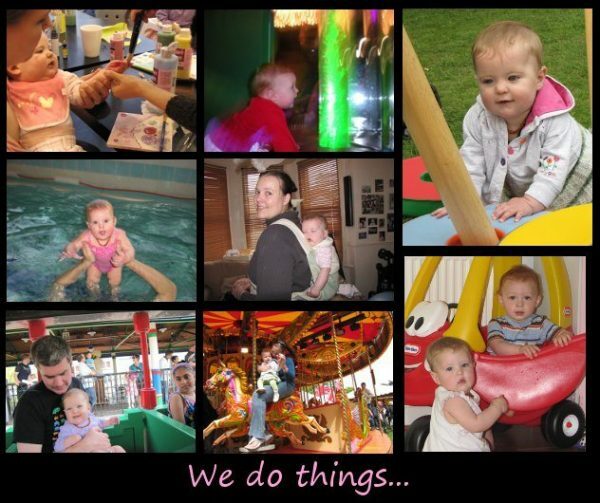 .-= Lauren @ Hobo MamaÂ´s last blog ..June Carnival of Natural Parenting: Outdoor fun =-. Oh the pictures are just precious! I envy bloggers who get a lot of pictures in their posts because mine are always soooo word heavy. I tried a bit harder with the carnival post, though. Anyhow. Cold and wet is good. That’s what we do here in Seattle and we just pile on the rain clothes, so it works out just fine! South Africa to England must’ve been quite a change! I grew up in California and now live in a cold part of the central US, so it’s weird for me not having the same beautiful weather to take me son in that I enjoyed as a kid. I didn’t even know what kind of cold-weather gear to get baby, like coats and hats! But you’ve done a great job of taking your little cutie out and about, judging from the pictures!!! 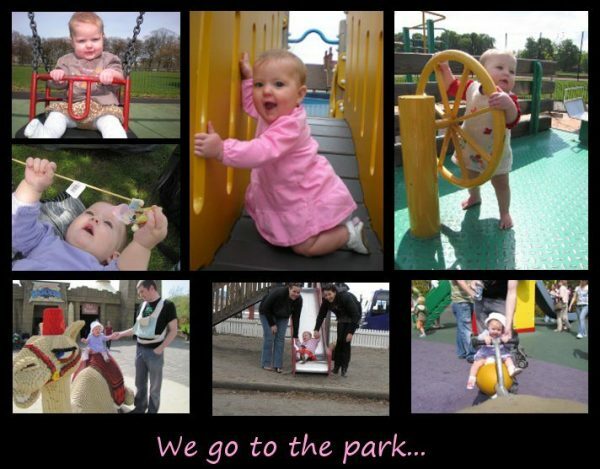 .-= Maman A DroitÂ´s last blog ..Ways to Have Outdoor Fun with a Pre-Walker =-. Ok, I’m definitely going to the park with my 10 month old this week. Great pics! .-= NavelgazingBajanÂ´s last blog ..Letâ€™s Take it Outside! =-. I love it! We were in England/Europe at Christmas and couldn’t believe how close everything was – we drive 10 hours to get to the city. But we could drive for a couple of hours and be in a completely different countryside. It looks like you’re doing an amazing job getting out and about. And I love the way you’ve done the photos. .-= DebÂ´s last blog ..Watching Peas Sprout =-. Your daughter has done more in the past 5 months than a lot of people have in years! 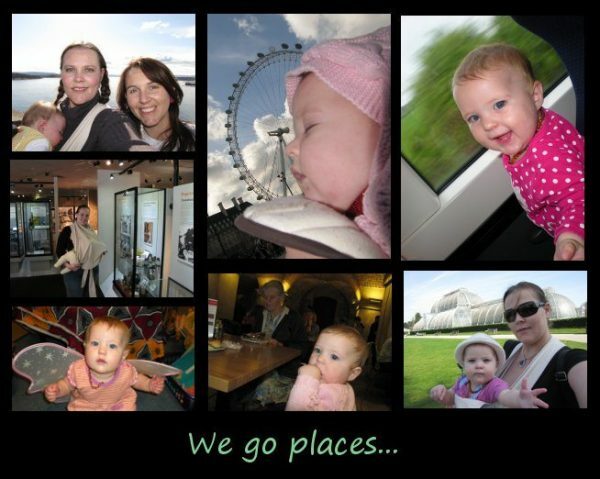 I love taking babies on outings like these – the sheer wonder and joy on their faces is priceless. I hope you all have wonderful weather this summer – I’m sure you’ll have fun regardless. .-= Dionna @ Code Name: MamaÂ´s last blog ..How To Create a Pirate Treasure Hunt & Other Easy Outdoor Pirate Activities (June Carnival of Natural Parenting) =-.